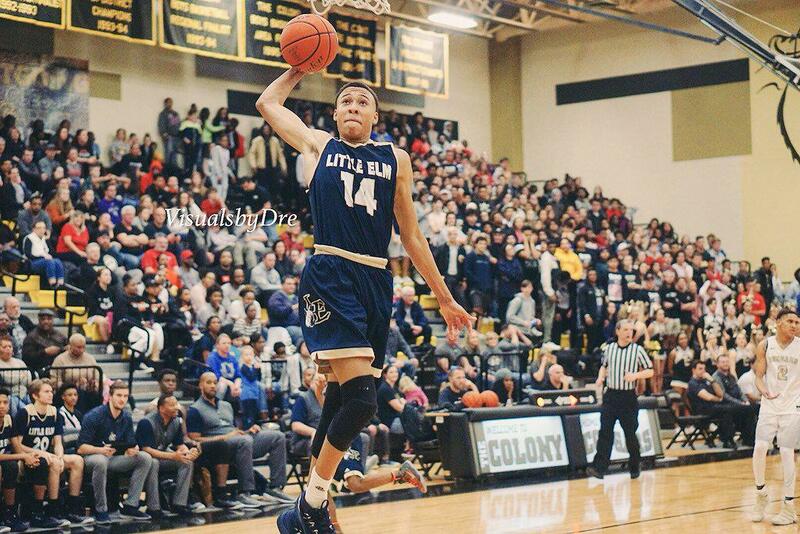 Class of 2020 Five-Star R.J. Hampton from Little Elm High School (TX) tells Prep Circuit he has cut his list to Duke, Kansas, Kentucky, Memphis, and TCU. He broke down why these five programs made the cut for him. Duke: “I feel like Coach Mike Krzyzewski has a history of winning and getting players to the highest level while keeping a class act. He is really putting the guys in a position to be successful this year. Duke has adapted to one and done players and it’s really working for them. Their track record speaks for itself." "Duke has everything you would want in a school, great coach, great home court and they continue to put guys in the league. The Brotherhood is real." "Coach Cal puts his heart in to his players. He really wants them to succeed. He is up front and makes you earn everything, he gets great talent and they buy into his plan. His style of guard play translates to the next level. There is a lot to like about Kentucky, big stage after big stage." "With their pro coaching staff, I get a crash course of next level coaching. Memphis is a chance to be apart of something special, and me being a point guard, who better to learn from than Coach Penny." TCU: “They have been an up-and-coming program these last couple years. They have told me they want me to come in and help them shock the world. I'm not opposed to staying in Texas and the relationship I have with assistant coach, Corey Barker, is really good." "Coach Barker has to be one of the hardest working recruiters in the country and he is trying to get it done. Coach Dixon lets his guards play. TCU has been rising since he's gotten there and again it's Big 12 basketball." Kansas: “You can't go wrong when you win the Big 12 every year with the hardest competition in it. They are always on the biggest stage and always find a way to win. Coach Bill Self has done a great job with that program and being coached by someone in the hall of fame wouldn't be bad either. Their whole staff is awesome." "Kansas is what college basketball is all about, great coach and the crowd is unbelievable. The Big 12 is one of the best basketball conferences year after year. Coach Self is one of the best to ever do it, a player's coach, and that means a lot." He has yet to set official visits to Duke and TCU just yet as he is focused on the high school season at hand. The next step after his final visits would be making his decision, but he hasn’t put much thought into that either just yet. This spring and summer, Hampton will be running with Drive Nation (TX) in the NIKE EYBL.